The School provides training for undergraduate studies leading to a B.Sc. degree in Civil Engineering, and postgraduate studies leading to M.Sc. 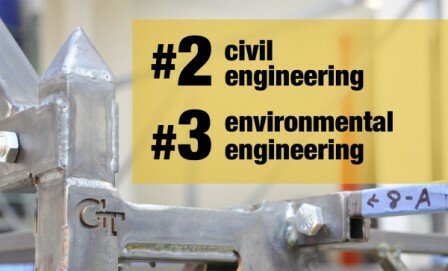 degrees in the areas of Geotechnical Engineering, Hydraulic Engineering, Structural Engineering, Construction Technology and Management and Road and Transportation Engineering. Other new M.Sc. Programs in Hydropower Engineering and in Water Supply and Sanitation Engineering will also commence in A.Y. 2005/2006 (1998 E.C.). A Ph. D. programme in Civil Engineering has already been approved and is soon to be launched in coordination with the Technical University of Darmstadt, Germany. Moreover, the Department provides training in advanced diploma in Civil Engineering in the extension programme.